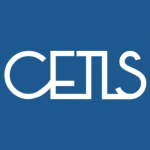 The CETLS blog is a place for the BMCC community to share ideas and experiences related to teaching, scholarship, and other aspects of faculty professional practice. Have an idea for a blog post? Submit your idea using the form below and someone from our editorial team will be in touch.